The Awakening Joy community includes thousands of people worldwide who are making well-being and joy a priority in their lives. There are many ways to connect. Take the course with a friend or find a partner through our online Message Board/Forum. For those taking the course onsite, a partner can be found at the first class. Helpful Document: "Finding and Working with a Practice Partner"
Good group chemistry guarantees you’ll awaken some joy! 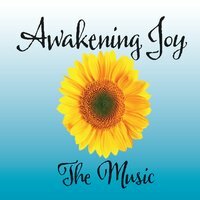 A vibrant place to find inspiring videos, articles and news from James Baraz and other renowned teachers in the Awakening Joy community.